I’ve had these NYX jumbo pencils for a while (since I made my first ever Cherry Culture order) but only just had a play with them. They are smooth and the colour pay off for both shades is really good. I used the white one as an eyeshadow base and it really makes the colour stand out & look more vibrant but it didn’t do a good job of holding the shadow in place. To be really honest, I’m not really sure how I’m going to go about working these into my normal make-up routine at the moment. If they held shadow in place longer then they would be amazing make-up bases! I will try them again over a shadow-primer and see if it holds better and if that’s the case it will be fab if I want colour to ‘pop’, but I’m just not convinced that I need that extra step all that much! What do you think of these jumbo pencils? Should I give them another chance?! Not sure of the longivity yet as a shadow base, but I did use mine as eyeliners and they worked pretty well. I love how they are so soft and pigmented – no dragging at all! How long did it take before yours creased anyway? I used to have a few of these (sold them now though), but I had to pick Milk over Cottage Cheese because I always found that to be such a gross name. Haha! 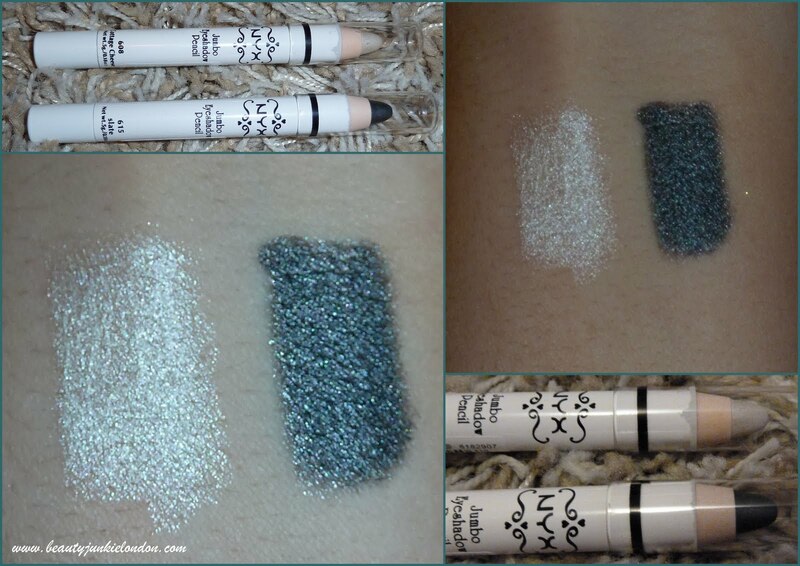 Personally, I always use a primer under all bases, even cream shadows or MAC paint pots, so why is using the NYX Jumbo Eyeshadow Pencils any different? They are good bases for eyeshadows but they are not intended to be primers like UDPP or TFSI, so just use them as conveniently packaged cream eyeshadows. I really want to see Slate in action. So maybe Cottage Cheese isn’t worth the white layer? Maybe Slate is worth a layer and then a smoke-out! That would look sooooo awesome. I hope you use Slate because I want a good power-blue shadow….